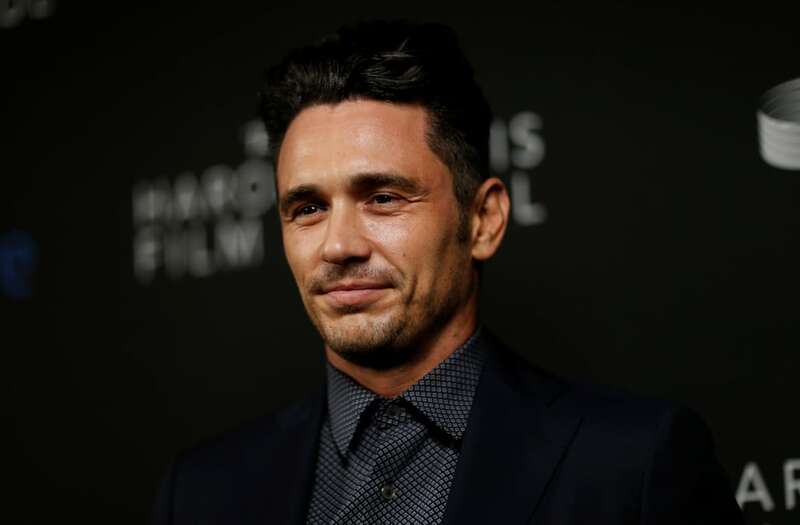 Actor James Franco addressed recent sexual misconduct allegations leveled against him during an uncomfortable "Late Show" interview on Tuesday night. Franco, who earned an Oscar nomination for "127 Hours," was criticized by some social media users for wearing a Time’s Up pin in solidarity with the movement against sexual harassment to Sunday's Golden Globes. Actress Violet Paley and filmmaker Sarah Tither-Kaplan recently accused Franco on Twitter of earlier instances of sexual misconduct. When host Stephen Colbert asked Franco about the allegations posted online, the actor said the "things that I heard were on Twitter are not accurate, but I completely support people coming out and being able to have a voice." In an interview punctuated with awkward pauses, Colbert asked Franco about how he thought reconciliation could be achieved between two people with different views of an incident. "Breakfast Club" star Ally Sheedy also made several vague references to the actor on Twitter on Sunday before deleting them. “Why is James Franco allowed in? Said too much,” Sheedy tweeted during the Golden Globes ceremony, which saw Franco honored as Best Actor for his role in "The Disaster Artist." “James Franco just won. Please never ever ask me why I left the film/tv business,” she tweeted shortly after Franco accepted his award. Franco told Colbert he did not know what prompted Sheedy's comments. He directed the actress in a 2014 off-Broadway play. Franco added that he wore the Time's Up pin "because I do support it." In 2014, a 17-year-old Scottish girl visiting New York accused Franco of using Instagram to try to arrange a visit to her hotel room.